With his new trademark, »Ergosign« designer Wilfried Nill has set his sights on an uncompromising demand for quality of design and material, where elegance reflects functionality. 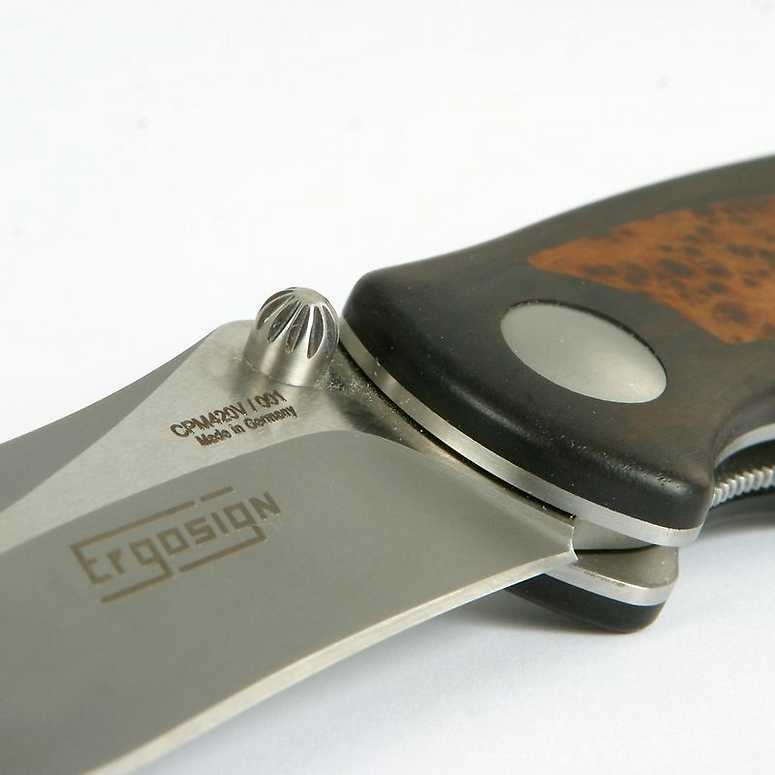 From the very beginning, the development of the single hand folder with Liner-Lock mechanism had only one aim; optimal material, the best in finishing and a design that convinces at first sight. 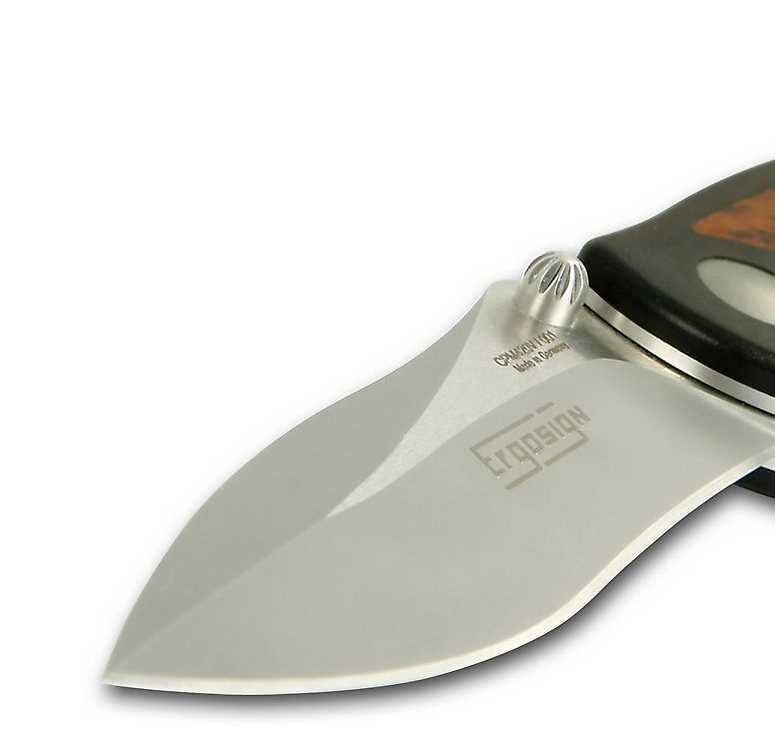 Simply on opening, the velvet smooth motion of the blade into the catch convinces. 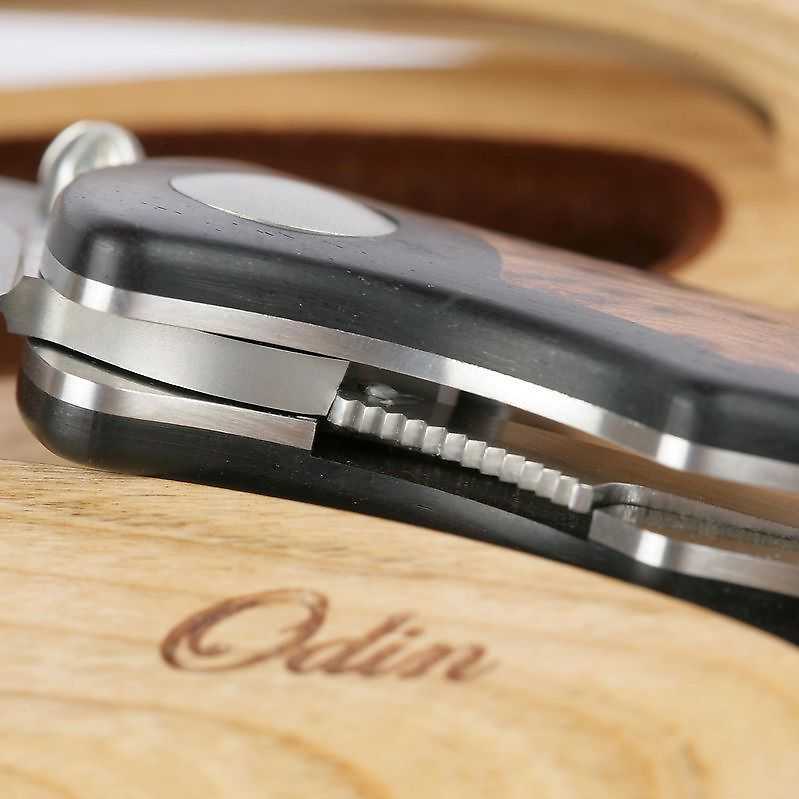 The first weighing in the hand reveals a tool that is unimpeachably balanced, whereby the focal point lies in the area of the lock, exactly where in practice the forefinger rests. 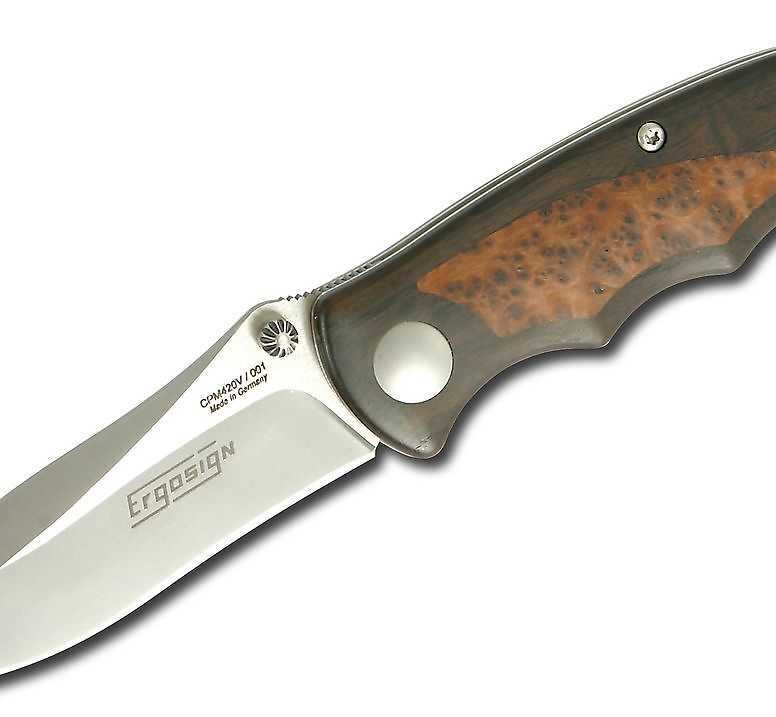 The rising ramp edge of the corrugated thumb rest allows precise control of the blade, and even with wet hands lends a feeling of handling confidence. 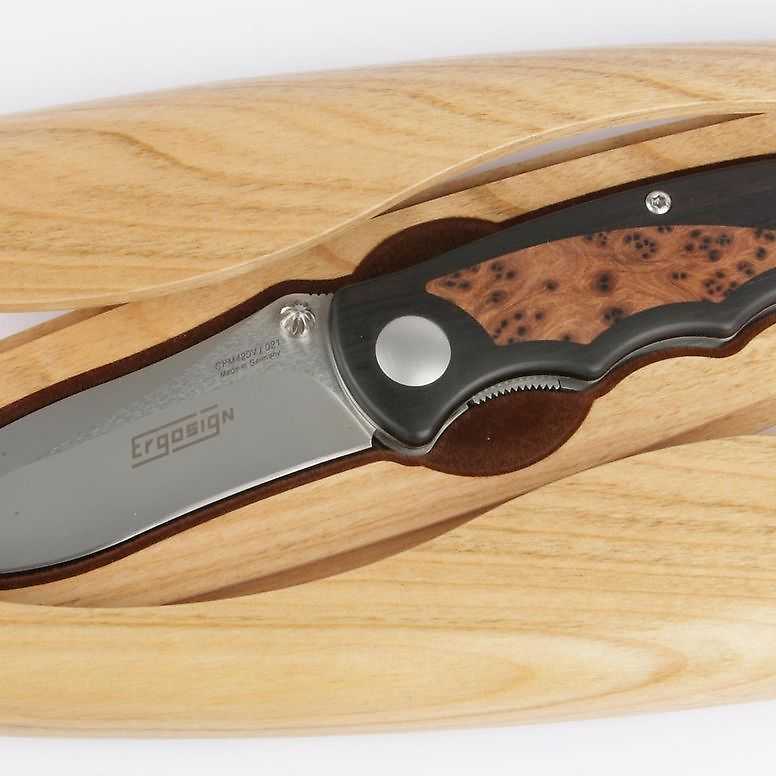 The blades for this limited series of 500 knives are made of CPM420V steel. 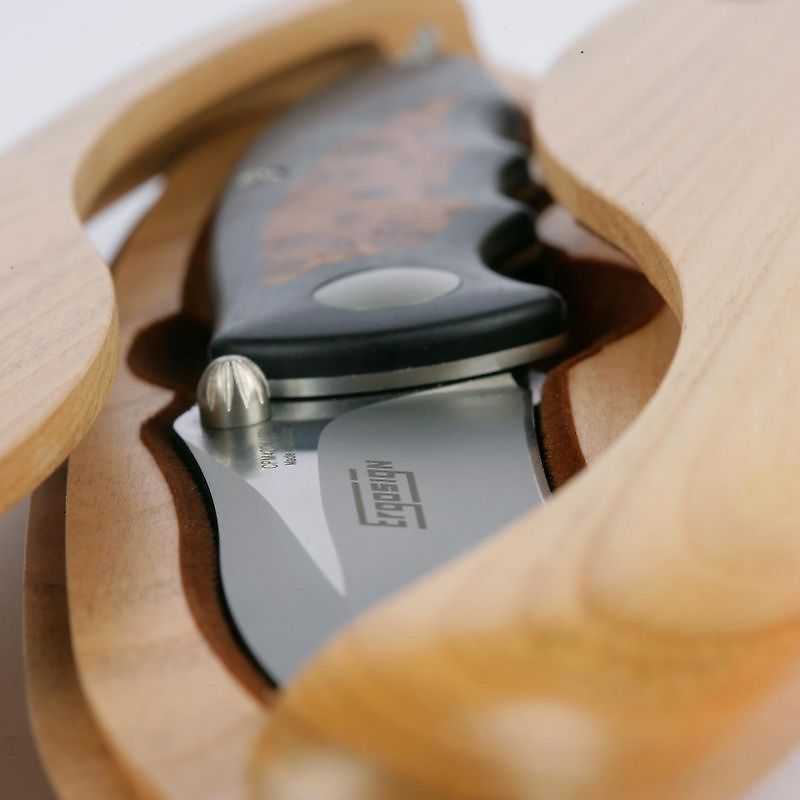 The grip is a combination of Grenadille and Arbor Vitae and the presenta- tion case from European Cherry.